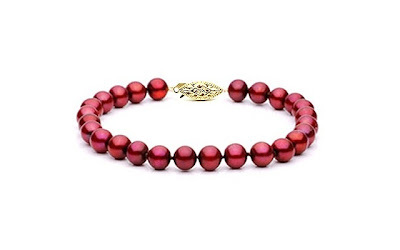 This Cranberry Freshwater Pearl Bracelet 6.5-7 mm each is currently selling for just $45.00 on Amazon.com! You will be saving 70% off the listed price of $149.99 with this jewelry deal. What I like about this bracelet is the unique rich color of the cranberry-colored pearls. This bracelet would make your Holiday outfit, whether you're wearing jeans or a little black dress!